One UK-based company Goldgenie has decided to give the HTC One M8 the 24-carat gold-plating treatment for those willing to part with 1500 pounds, or £1,580.83 to be exact. If regular gold is not to your style, you could choose the rose gold variant, which would set you back by £1,664.17, or the platinum variant, which costs £1,747.50. In each of these cases, the cost of the phone is included in. 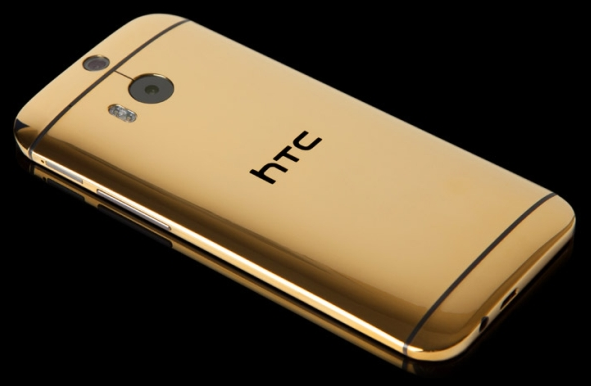 If you already have an HTC One M8 and wish to get it plated in gold, you will have to shell out close to a 1000 quids. Ever since Apple launched the iPhone 5s, gold has become a popular color, with companies like HTC offering a gold colored variant of the HTC One M8 as standard. But there always existed companies who made gold-plated versions of existing handsets, and we are talking real gold here.